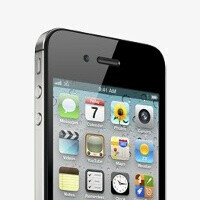 Verizon is expected to be the carrier that reaps the most benefits out of the iPhone 4S stateside. A leaked memo by JP Morgan hints that Verizon Wireless will increase its subscriber count by 1.2 million in the fourth quarter, largely due to the iPhone 4S being available on the carrier since day 1 of its launch. AT&T, the carrier the iPhone originally launched on, is projected to only add 450,000 new subscribers, while Sprint is expected to boost its subscriber base by 250,000 in Q4 2011. T-Mobile, in contrast, is the only one of the four major US carriers that doesn’t have the iPhone and the forecast is for its subscribers to decrease by 400,000. Demand for the iPhone hasn’t slowed down nearly two months after its launch and users still have to wait for around two weeks to get one. Overall iPhone sales so far have reached around 6 million at AT&T, 4 million over at Verizon and some 2 million on Sprint. Each of the carriers offers a subsidy on the iPhone with Sprint heading that list with a $400 subsidy, followed by a $375 subsidy on AT&T and $350 on Big Red, according to JP Morgan. This compares with nearly half the subsidy for Android devices, which average in the $150 to $200 range. Now, the JP Morgan analysis points out that while Sprint has improved its subscriber base, the carrier needs to sell more iPhones to justify the huge investment it has made. At the same time, iPhones are expected to make up 57% of AT&T’s phone sales in Q4, a huge increase over only 33% in the third quarter. At Verizon, iPhones are to be a 32% or nearly a third of all phones sold, up from 19% in the third trimester. The iphone is a popular device. Stop yelling. My ears hurt. Still though ... 5% of ALL cell phone user. And that is just the i4S. That is still a big chunk. If i wanted a iPhone, i would go with Sprint or VZ. Sprint is cheaper, but VZ had the coverage. The only reason to stay on ATT with the iPhone is if you have unlimited data. It really depends. If you are in an area that gets good AT&T coverage ... you will get faster data rates. It may not be just about "coverage". If you rarely travel ... and you have great coverage where you are ... who cares if Verizon has more coverage. It is not like you would go to those areas anyway. "who cares if Verizon has more coverage..." Seriously?